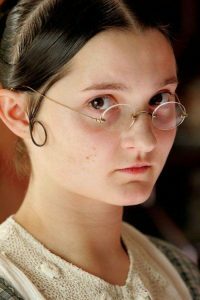 English actress Ruby Bentall is known for her roles as Minnie in Lark Rise to Candleford, and as Mary Bennet in Lost in Austen. Her other television roles include The Paradise, You Can Choose Your Friends, Poldark, Doctors, Jekyll and Hyde, Oliver Twist and New Tricks. Born in London, England, April 3, 1988, she is the daughter of actress Janine Duvitski and Paul Bentall, and sister of Jack Bentall, Albert Bentall, and Edith Bentall. *She moved Petersham with her family when she was eight. *Her younger sister Edith is the lead vocalist of the band ‘FOURS’. *Currently, she resides in London.